← What Sort Of Things Could Result In You Invalidating Your Motor Insurance Policy? If you are a UK motorist then you will no doubt be aware that it is a legal requirement that you have to have car insurance. Some of you may be wondering why this is the case especially when you consider that it is probably one of only very few types of insurance that is mandatory. To be specific, you are legally required to have a minimum of third party cover on your vehicle unless the car is declared SORN (Statutory Off Road Notification) and the vehicle is not kept on a public road. When you think about it, car insurance is no doubt made compulsory as their are so many implications if you were to be involved in a road traffic accident and therefore some protection needs to be in place for the potential benefit of others. For instance, if you were responsible for a car accident and there was damage caused to the other vehicle then it is only right that the damage to the other vehicle is repaired or a replacement vehicle provided. If you did not have insurance then how would you be able to pay for the cost involved? Yes, some people may be able to use savings or take out a loan but it is quite possible that the majority will not be in such a fortunate financial position. If you caused a road traffic accident and either someone else in the other car or a pedestrian was seriously injured or killed then that person’s dependant is likely to sue you for negligence and, if found to be at fault, you may be faced with a claim for compensation running into many millions of pounds. There are probably very few people that would have the financial resources available to cover the cost of such a claim so this is where a car insurance policy could also be of benefit as the insurer could meet such a claim for compensation. Unfortunately, it is believed there are a significant number of motorists who are breaking the law by driving a vehicle without any motor insurance in place and the penalty if caught is considerable. Some may be doing this because they feel they cannot afford the cost of such cover. 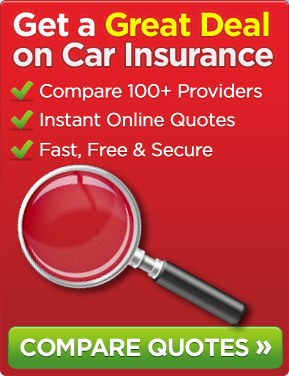 If you are looking to arrange motor insurance then a popular way of doing so is via a price comparison website that provides access to an extensive panel of insurers. It is so quick and simple to get one or more quotes and once you have decided who to arrange the cover with this can sometimes be arranged online or over the phone. This entry was posted in News and tagged car insurance, Mandatory Car Insurance. Bookmark the permalink.